WASHINGTON, DC—The Global Network Initiative is pleased to announce that Facebook has become the sixth company to join GNI. “We welcome Facebook as a full member of GNI and look forward to working more closely with them to advance the freedom of expression and privacy rights of Internet users worldwide,” said GNI Executive Director Susan Morgan. “Adding the power of Facebook’s community of one billion global users puts GNI in an even better place to press governments to fulfill their obligations to protect rights online,” she added. GNI brings information technology companies together with NGOs, investors and academics. Facebook joins founding companies Google, Microsoft, and Yahoo!, as well as Evoca and Websense who joined the initiative in 2011. GNI’s principles and guidelines provide companies with a framework for responding to government requests in a manner that protects and advances freedom of expression and privacy. Companies that join GNI agree to independent assessments of their record in implementing these principles and guidelines. “By joining this important collaboration between companies, human rights organizations, investors, and academics, Facebook is fully embracing its responsibility to protecting the rights of its users and setting an example that other companies should follow,” said Leslie Harris, President and CEO of the Center for Democracy and Technology. “A company’s commitment to freedom of expression and privacy is increasingly essential for building and maintaining user trust. Facebook’s decision to join GNI sends a signal to users, investors and other stakeholders alike that it aspires to be a platform on which the rights of users everywhere are respected as it expands its reach around the world,” said Bennett Freeman, Senior Vice President of Sustainability Research and Policy at Calvert Investments. “As the world’s largest social network, Facebook plays an important role for free expression and privacy online.  By joining GNI they are helping to develop global standards and good practices for responsible company conduct, and contributing to collaborative policy engagement to staunch government efforts to abridge these essential rights,” said Colin Maclay, Managing Director of the Berkman Center for Internet & Society at Harvard University.